In pairs for increased productivity with less handling. 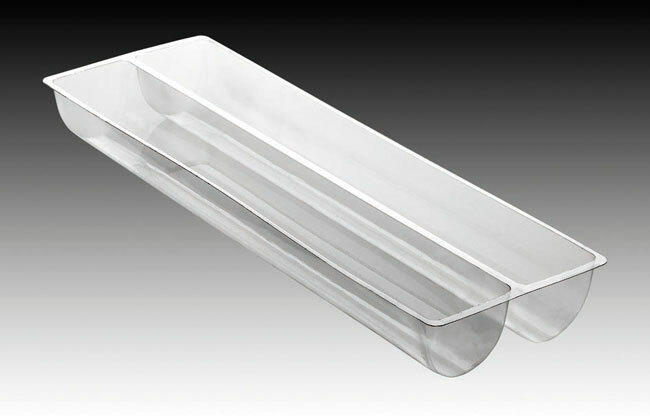 Total length 22 1/2” for optimum use of baking trays. 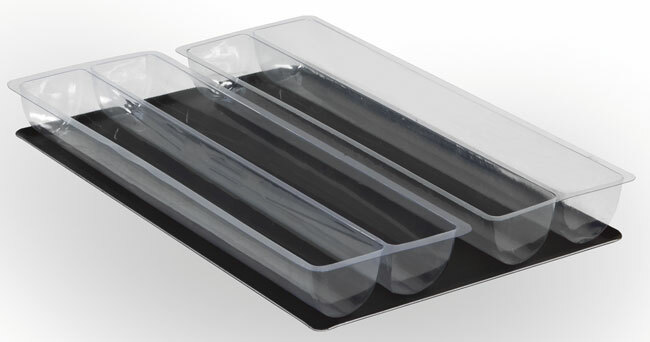 Storage of 4 logs per 23 3/4” X 15 3/4” tray or grid optimizing storage in cold stores. Easy to turn out after freezing. Mold size: Length 22 1/2", Width 3 1/4", Height 2 1/2". Mold size: Length 22 1/2", width 1 1/2", height 1 1/4".